Music by the Mountain: Save the dates . . .
Save the dates . . .
Tacoma pianist Svitlana Smaga captivated Saturday evening concert-goers with a powerful performance of Mussorsky’s piano masterpiece "Pictures at an Exhibition." 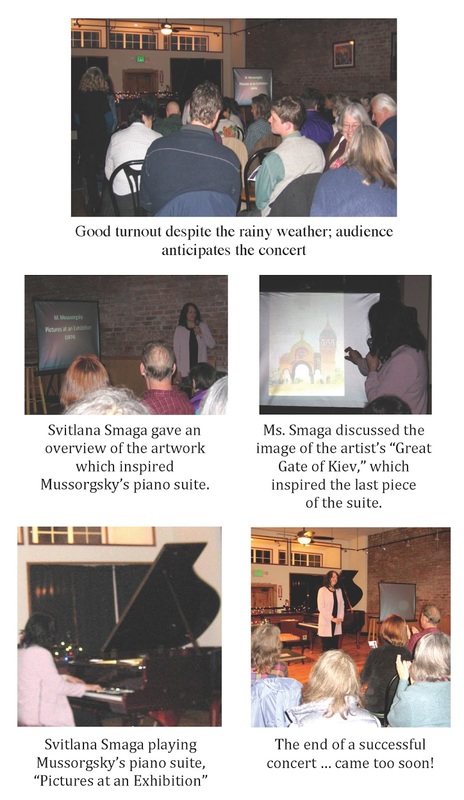 Ms. Smaga, originally from Ukraine, presented a pre-performance slide show and explanation of the paintings around which the suite was composed. 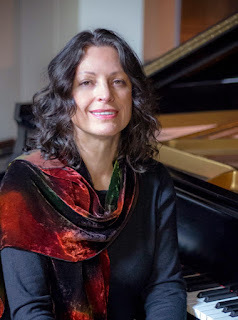 Her piano virtuosity and native interpretation of the Russian music was particularly special to the event. Moods from the opening and recurring ‘Promenade’ theme depicting the wandering in an art gallery to the final ‘Boatyr Gates’ varied in intensity and character with the individual pictures Mussorgsky was contemplating at the exhibition. The exact emotion for each painting was clearly and eloquently expressed by Ms. Smaga, bringing the crowd to its feet with thunderous applause. 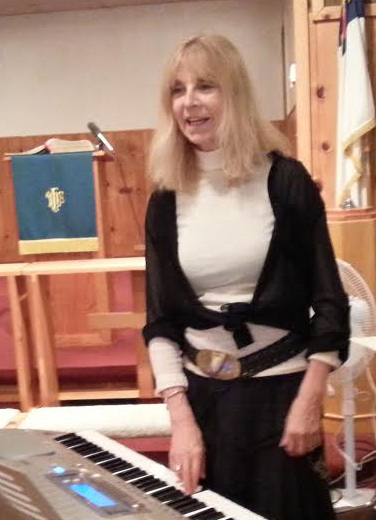 Many attending mentioned their thrill at hearing this great music by an excellent pianist in our area. Music by the Mountain sincerely thanks Ms. Smaga for contributing to our ongoing classical music program. were treated to a preview of this event! Go to the Educational Music Programs page for photos & details. 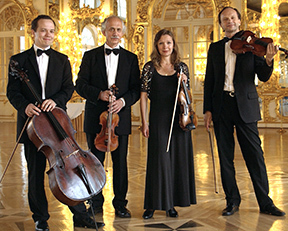 instrumental music lessons. We hope it helps you connect with the right teacher. It is up to the student to make contact and agree on the time and price of lessons with the particular teacher.